﻿ ABC Seamless: Guttering Sydney | Downpipes Sydney - Cumberland - Gutter Guards, Leaf Guards Sydney, Australia. We have been offering affordable rainwater products to the Cumberland area for over 50 years. 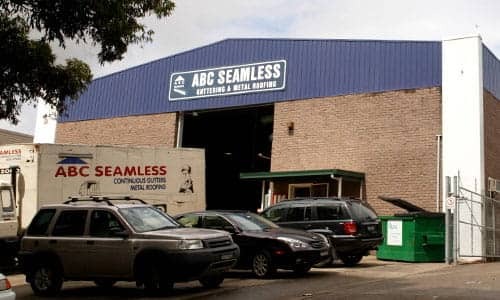 ABC Seamless is committed to providing the highest quality goods, service and craftsmanship. We are dedicated to providing rainwater products at a fair price with reliable and friendly service. 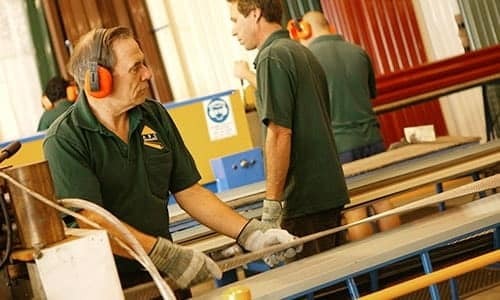 ABC Seamless pride ourselves on being a family business with a dedicated and loyal team of excellent technical assessors and qualified tradesmen. Our factory-based team are equally committed to providing customer service excellence and client satisfaction. ABC Seamless guarantee the quality of our workmanship as a commitment to our customers. We provide you with written warranties covering workmanship and material. Guttering – ABC Seamless is the largest supplier and installer of gutters in your area. We specialise in prepainted continuous Aluminium guttering, rolled seamlessly on site so there are no leaks at joints and our gutters are completely rustproof and protected from overflow and blockages. Metal roofing – ABC Seamless is a leading distributor and recommended installer of Australian roofing products. Our engineer can accurately identify the most suitable and structurally sound colorbond metal roof or zincalume metal roof to fit your house or commercial property. Roof restoration – ABC Seamless are the best in the business when it comes to roof cleaning and roof painting both Tile Roofing and Terracotta Roofing. We use a premium cleaning and painting system in all of our roof restorations so that we can restore your old roof back to its former glory and increase its longevity. Leafguard – ABC Seamless offer all different types of leaf protection to best suit your home. We install Aluminium leafguard, gutterseal and leafscreener in a variety of colours. Our leafscreener is approved by the CSIRO and is available in high density PVC and Aluminium gutter mesh. The Rainwater Solution Specialists for all your residential and commercial applications. ABC Seamless are the Rainwater Solution Specialists. We supply Rainwater Tanks, Guttering, Downpipes, Metal Roofing, Roof Restoration and Leafguard products for residential and commercial applications.